It's the second month of The Book Club Cook Book Cooking Crew! This month, A Walk in the Woods by Bill Bryson was up for creating a recipe inspired by the book and was chosen by Andrea over at Adventures In All Things Food! This book follows Bryson and his friend's experience walking the Appalachian Trail. I had never heard of this book and wasn't really sure if I'd like a memoir about nature. When some of the ladies were mentioning how hilarious they found the book, my interest was piqued! And, yes, this book was comedic and very pleasant to read. I was also surprised to see that a movie was coming out based on this book, and I'm waiting anxiously until it arrives in theaters and I hope they were able to reflect some of their unique and crazy experiences! One of the recipes featured in The Book Club Cookbook was Very Yellow Lemon Meringue Pie, and I couldn't pass up the opportunity to make this pie from scratch! Growing up I was never the biggest fan of lemon meringue, but it was my mom's favorite (still is, she says!) and would buy it for a special treat. I knew that this would be a great pie to make and take over for my family's Sunday dinner. For this recipe, I decided to use my own pie crust (Easy Homemade Pie Crust) rather than the one in the recipe because it's my favorite pie crust and I was a little apprehensive trying a new crust recipe. This recipe also calls for only 5 tablespoons of lemon juice. It just didn't seem enough, so I used nearly half a cup of fresh lemon juice. The flavor was amazing and was like a lemon curd, but it was also a little more runny. So feel free to use more lemon juice, just with the caution that it won't set up as beautifully as it would have using less lemon juice. The result? My mom was absolutely in love with this pie. Not only did she pick the biggest slice, but she also had two huge slices-- something she rarely does. And we usually have some dessert left over, but the only thing that remained was an empty dish and my dad trying to scrape out any leftover pie filling. It was seriously that good! Store bought lemon meringue just doesn't compare! This recipe takes a lot of dishes and a considerable amount of time. 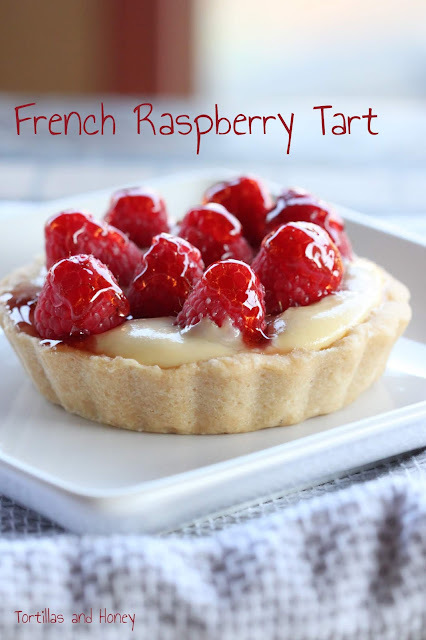 But, this is a great recipe that I'm going to be making for special occasions or for special requests. Also, head over to Adventures in all Things Food to see what other bloggers have done for their own recipe creations from A Walk in the Woods. Thank you Andrea for choosing a delightful book! And look below for a giveaway of The Book Club Cook Book! I will be hosting The Book Club Cook Book Cooking Crew, so check back at the beginning of the month to see which book and recipe I've chosen! One of our lucky readers - US and Canada only! - can enter to win a copy of The Book Club Cookbook, Revised Edition: Recipes and Food for Thought from Your Book Club's Favorite Books and Authors by Judy Gelman and Vicki Levy Krupp, courtesy of Tarcher-Penguin. Giveaway runs from August 1st till August 31st at 6 o'clock PM, Pacific time. Please see terms and conditions in the rafflecopter widget below. Many thanks to Tarcher Books. You may find Tarcher: on the web, on Facebook, on Twitter, and on Pinterest. 1 recipe pie crust (one crust, not a double crust recipe) I used my Easy Homemade Pie Crust recipe! Beautiful pie and kudos for following the recipe given. It looks delicious. I'm anxious for the movie as well. Meringue peaks are so much fun. Glad you could make it for a special treat for your mom. 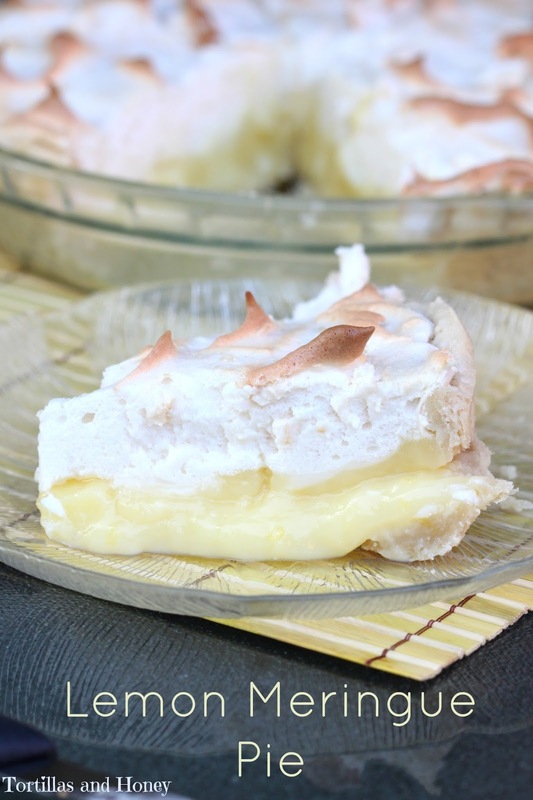 Lemon meringue pie is one of my favorites. No, it IS my favorite. But I definitely don't make it enough. I will now! Thanks for the inspiration, Renee. what a gorgeous pie, renee! I love it that you made this pie for your mother! My mother use to make this pie for me. :) What great memories. Looking at your pictures is just like looking at my mother's pie. YUM!